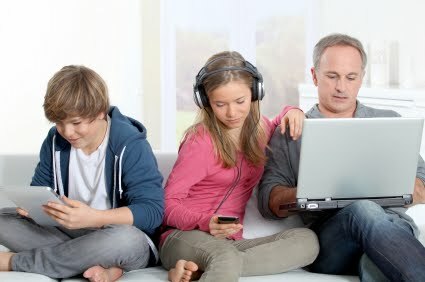 Many times in the 1980s and 90s, I thought it would be cheaper to have a drug problem than to be enamored with computers. Technology was changing so fast in desktop computers, enthusiasts felt compelled to buy new computers every couple of years. And they were not cheap. You could not get out the door for even something like an Apple IIe or a TRS-80 Model III for less than $2,500. I felt the compulsion come over me again when I bought my first smartphone in 2008. Long before my two-year contract was up entitling me to an upgraded phone, I came to loathe my current phone and pine for the latest and greatest phone. There was always one that was much faster, had a better camera and less buggy software. Thankfully, that impulse eventually passed. Computers got faster, and hard drives had more than enough storage. You could actually go several years on the same PC. My current laptop is about three years ago and meets my needs quite fine. I’ve been known to have the same one close to 10 years. My current smartphone, an LG G3, I purchased more than a year ago. When my son’s iPhone gave up the ghost, he wanted an Android phone and chose an LG G4, the upgrade from my phone. I was delightfully astonished when I played with it. While it was a bit better than my phone, it was not enough to provoke any envy on my part. I was still content with my LG G3. When Mobile World Congress drew near, I thought for sure I’d see a new phone from LG or someone that would make me feel disenchantment with my phone. Held the week of Feb. 22 in Barcelona, Spain, MWC is where manufacturers show off this year’s phones. And LG showed the LG G5. It had some amazing features. The mandatory upgraded faster processor and a slightly better camera. What was really cool was that you can switch out the battery without taking off the back. You can do it simply by sliding it out from the bottom. You can also slide out the battery and slide in a camera module that gives a wider view than the normal lens. Another module gives improved audio. Third parties might come up with other innovative things to slide in. The easily replaceable battery got my attention. I usually have to swap out my battery once a day. Then it occurred to me. You cannot easily replace the battery if the phone is in a case, and I’m clumsy enough that my phone has to be in a case – a big, beefy, drop-resistant case. The screen resolution was the same as my phone’s and more than I really need. And while a future Android version might need the faster processor, the processor in mine is more than good enough. Don’t get me wrong. I love the LG G5 and would buy it if I was looking for a new phone. I was just gratified to realize for the first time ever that I’m going to finish out a two-year contract without counting the days to a new phone or loathing my current one. The G5 is a good phone, with the latest Android version and a fast processor to make it sing. It has two cameras, with 16- and eight-megabit resolutions. And its display is of higher resolution than any TV you are likely to have in your home. Samsung’s S7 phone has the same Snapdragon 820 processor and Android Marshmallow that the G5 has. It also supports very high screen resolutions. Either phone will do you well if you are looking for a new high-end phone. LG also brought out a few interesting accessories. They have a 360-degree camera similar to the popular Ricoh Theta S. One snap and you have a photo or video taken 360 degrees around you, and over your head and feet. LG also released a remote-control ball. It is a small robot that you control with your phone. It rolls around the room, returning video to the phone. Other than for a little brother to torment a big sister, or to amuse your cat, I can’t think of a use for it. It also announced a virtual reality headset for its phones. Instead of putting the phone in a holder like Google Cardboard, LG’s headset has its own screen and cable to the phone. Most manufacturers had some sort of virtual reality product to show this year. This is the year of virtual reality. There will likely be a lot such devices under trees next Christmas. The big takeaway for me from MWC was that if you are dissatisfied with your phone, invest in a high-end phone such as the Samsung S7 or LG G5. It will likely keep you content for several years. And if your current phone pleases you, don’t feel like you are missing out on anything significant by not upgrading now.